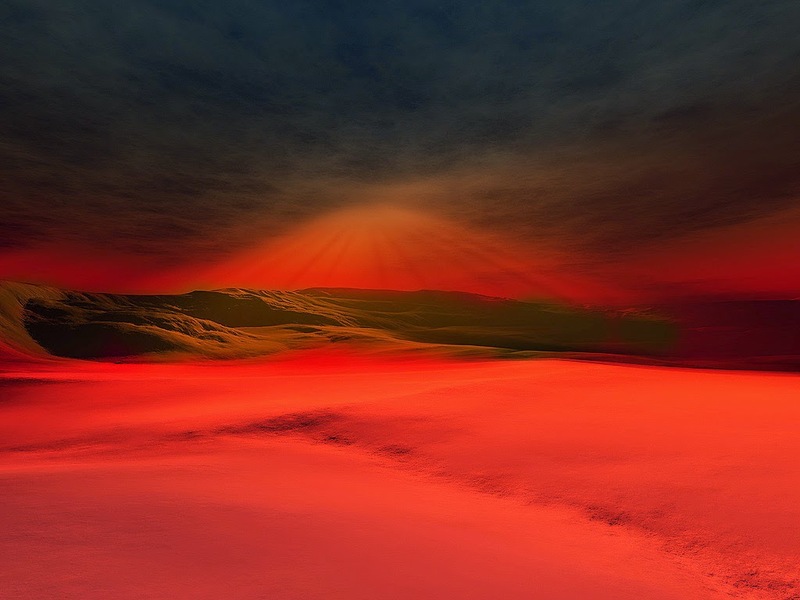 I was transported to a red desert, like the picture above. I knew there was nothing living in this place and that I was completely alone. In the distance I could see thousands of red tinged creatures barreling down on me rather quickly. Some of these creatures resembled very deformed, horrible looking humans, and some where deformed, demons. They were terrifying to behold. They had nothing but hatred in their eyes for me, there was no compassion, they wanted to kill me, and at the rate they were coming at me, they would reach me in a few seconds. There were thousands of them, and was there with no weapons, no defenses and no where to run. I was toast. When they reached me, they were going to shred me like lettuce. I was dead and I knew it. I was terrified. The next second I was back in the Church standing before the forth station. I was trembling in my arms and my legs because I was so scared. The Lord had to calm me down. After a few seconds I had gotten my bearings and the Lord gave me a number of how many were coming after me that day in the Church. Then He said to me, "If it had been all of Hell after you, I would have let St. Michael take care of it." My first thought was, "One angel, under God's command could hold back all of Hell. What are we afraid of? We should be completely and totally fearless!"